The Metro-style Firefox release has been pushed back from December to January, according to Mozilla. In the online notes from its latest meeting (why issue press releases when you can publish raw bullet points? ), Mozilla revealed that a "decrease in average team velocity" has caused the Firefox for Windows delay. 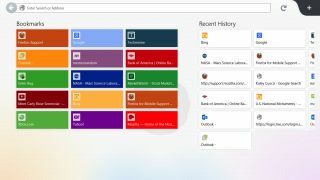 Firefox 26 for Windows is being designed specifically for Windows 8, with the system's touchy-feely, tile-based UI at the forefront of the browser's look and feel. That's despite Mozilla's claims from last year that Windows 8 marked a "return to the dark ages." The new, multitouch-friendly, "modern" Firefox was pegged last month for a Dec. 10 release, but the latest Firefox notes make it clear that the tiled browser will appear next year at the earliest. This version of Firefox for Windows features a boxy, tile-based interface and features designed specifically to play nicely with Microsoft's newest OS, including versions on touch devices. The exact reason for the delays is unclear, but this special version of Firefox has already been in development for at least a year - preview builds appeared as early as 2012. Not much in the Windows 8 world has changed since then, though Windows RT is looking less and less relevant and Windows 8.1 will be out in mid-October. Which browser should you be using? TechRadar lays out the best of the best.